Mike graduate from Clemson University in 1975 earning a B.S. in Building Construction. Spending 40 years in the local (Charleston, SC) construction industry, Mike has held the positions of Superintendent, Estimator, Project Manager, Pre-Engineered Building Dealer, and Owner. His areas of work include Design-Build, pre-engineered metal buildings, warehousing, office buildings, automobile dealerships, banking facilities, schools, pre-cast concrete/tilt up buildings, renovations and government projects. His current responsibilities as Senior Project Manager at Brantley are providing oversight on all field operations, management and direction of project managers, superintendents and all field employees. Mike ensures that all resources of the company are managed and coordinated in an efficient and professional manner on all projects in order to perform work with a high quality of workmanship, within the budget and on schedule. Throughout his years, Mike completed many successful projects in the Tri-County area and has gained recognition and respect for all of his hard work. He is the former President of both the Charleston Contractors Association (CCA) and the Charleston Society of Military Engineers (C-SME). In 2002 he was awarded New Dealer of the Year and #3 Dealer in the Country for Steelox Pre-Engineered Building Systems. Under Mike’s leadership Brantley Construction has received Star Building Systems’ Outstanding Builder Award for 5 years running. 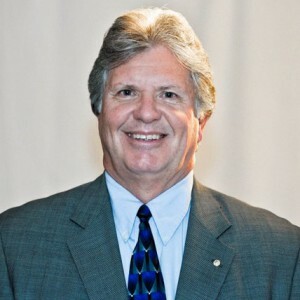 Currently, Mike is a member of the Star Building Systems President’s Advisory Council (PAC). As a member, representing builders from across the country, he works with Star’s management team involving pricing structures, products, marketing and technology. Mike is an active member and Deacon at East Cooper Baptist Church. He is also an avid sports follower and memorabilia collector. He enjoys spending time with his family, especially his three grandchildren.